I. Huvila, “Archives, Libraries and Museums in the Contemporary Society: Perspectives of the Professionals”, in iConference 2014 Proceedings, llinois, 2014. I. Huvila, Ek, S., and Widén, G., “Information sharing and the dimensions of social capital in Second Life”, Journal of Information Science, vol. 40, pp. 237–248, 2014. I. Huvila, “Towards information leadership”, Aslib Journal of Info Mgmt, vol. 66, pp. 663–677, 2014. I. Huvila, Ed., Perspectives to Archaeological Information in the Digital Society. Uppsala: Department of ALM, Uppsala University, 2014. I. Huvila, Heinström, J., Ahmad, F., Österbacka, E., and Widén, G., “Kunskapsdelningens många nivåer och konsten att fånga dem i ett ramverk”, Informaatiotutkimus, 2014. I. Huvila, “Introduction”, in Perspectives to Archaeological Information in the Digital Society, I. Huvila, Ed. Uppsala: Department of ALM, Uppsala University, 2014, pp. 1–9. 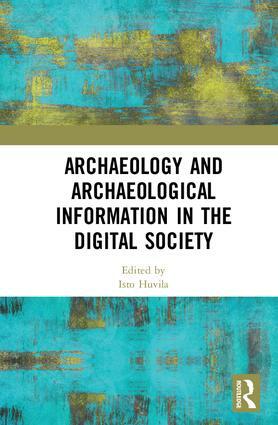 I. Huvila, “Archaeologists and their information sources”, in Perspectives to Archaeological Information in the Digital Society, I. Huvila, Ed. Uppsala: Department of ALM, Uppsala University, 2014, pp. 25–54. I. Huvila, “The unbearable lightness of participating? Revisiting the discourses of 'participation' in archival literature”, Journal of Documentation, vol. 71, pp. 358–386, 2015. I. Huvila, “Another Wood Between the Worlds? Regimes of Worth and the Making of Meanings in the Work of Archivists”, The Information Society, vol. 31, pp. 121–138, 2015. I. Huvila, “Be informed of your information”, Current Swedish Archaeology, vol. 22, pp. 48-51, 2014. I. Huvila, “Situational appropriation of information”, Aslib Journal of Information Management, vol. 67, pp. 492–504, 2015. I. Huvila, “Affective capitalism of knowing and the society of search engine”, Aslib Journal of Information Management, vol. 68, pp. 566–588, 2016. I. Huvila, “Ajankohtainen johdatus valheen, vihapuheen ja vaihtoehtoisten totuuksien maailmaan. Review of Haasio, Ari, Ojaranta, Anu, Mattila, Markku: Valheen jäljillä. Avain, 2018. 155 sivua. ISBN 978-952-304-166-0”, Agricola Suomen humanistiverkko, 2018. I. Huvila, “Historia biteiksi - johdatusta digitaaliseen humanismiin. Review of Elo, Kimmo (toim.) Digitaalinen humanismi ja historiatieteet. THY 2016.”, Agricola Suomen historiaverkko, 2016. I. Huvila, “Hyvän arkeologian metsästäjät [The hunters of good archaeology]”, SKAS, pp. 54–58, 2015. I. Huvila, Olsson, M., Faniel, I. M., Dalbello, M., and Dallas, C., “Archaeological perspectives in information science”, Proc. Assoc. Info. Sci. Tech., vol. 54. pp. 570–573, 2017. I. Huvila, “Alternatives to Being Information Literate”, in Information Literacy in the Workplace, Cham, 2018. I. Huvila and Ahmad, F., “Holistic information behavior and the perceived success of work in organizations”, Library & Information Science Research, vol. 40, pp. 18–29, 2018. I. Huvila, “Putting to (information) work: A Stengersian perspective on how information technologies and people influence information practices”, The Information Society, vol. 34, pp. 229–243, 2018. 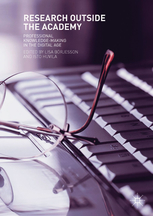 I. Huvila, “How Knowing Changes”, in Research Outside The Academy: Professional Knowledge-Making in the Digital Age, L. Börjesson and Huvila, I., Eds. Cham: Palgrave MacMillan, 2019, pp. 155–170. I. Huvila and Börjesson, L., “Epilogue”, in Research Outside The Academy: Professional Knowledge-Making in the Digital Age, L. Börjesson and Huvila, I., Eds. Basingstoke: Palgrave MacMillan, 2019, pp. 171–182. I. Huvila, “Authoring social reality with documents: From authorship of documents and documentary boundary objects to practical authorship”, Journal of Documentation, vol. 75, pp. 44-61, 2019.